In this video from The Metropolitan Museum of Art, conservator in the Department of Paintings Conservation Charlotte Hale simulates the gas lamp lighting effect of Seuret’s era. In contrast to the balanced and brighter lights of a museum, this flickering gas light experiment may inspire a new understanding of the young artist’s city experience and artistic intentions. 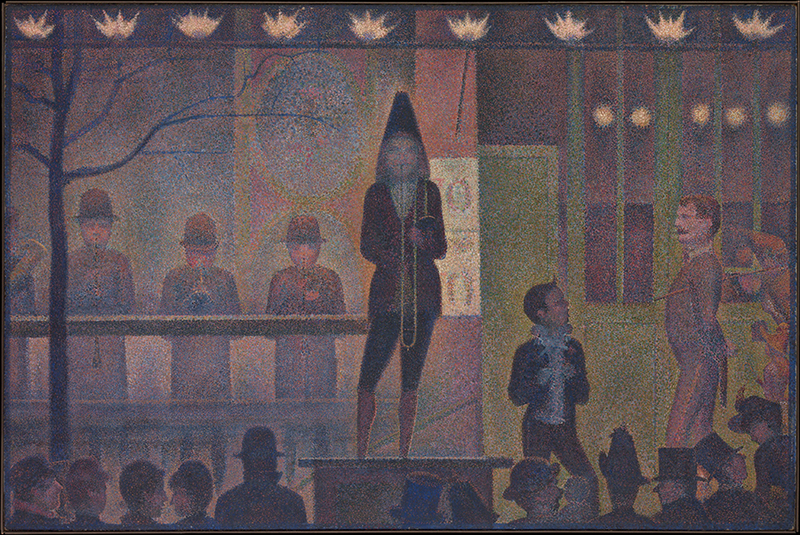 At the Salon des Indépendants in 1888 Seurat demonstrated the versatility of his technique by exhibiting Circus Sideshow, a nighttime outdoor scene in artificial light, and Models, an indoor, daylight scene (Barnes Foundation, Philadelphia). 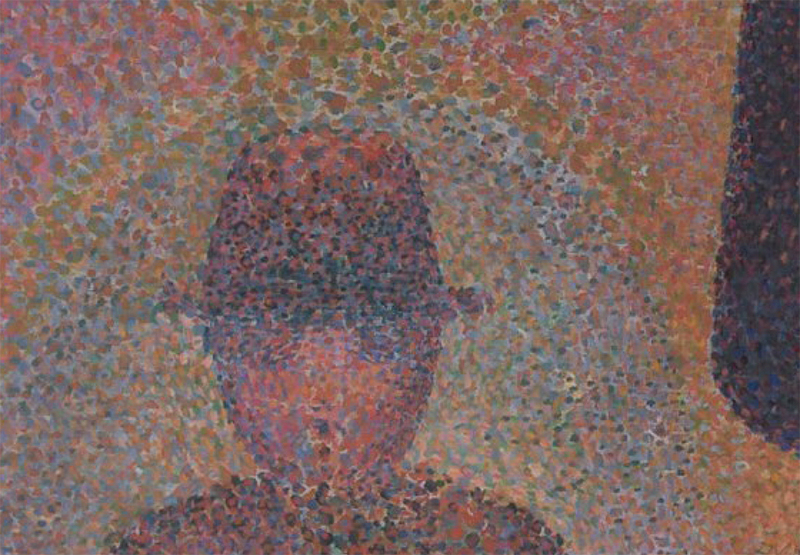 This is Seurat’s first nocturnal painting and the first to depict popular entertainment. It represents the parade, or sideshow, of the Circus Corvi at the annual Gingerbread Fair, held in eastern Paris around the place de la Nation, in spring 1887. Sideshows were staged outside the circus tent, for free, to entice passersby to purchase tickets. The onlookers at the far right are queued on stairs leading to the box office. Next, check out A Vault of Color: Protecting the World’s Rarest Pigments, Pablo Picasso painting on glass, and this favorite silent movie scene: Charlie Chaplin in the lion’s cage: The Circus.